Patrick Taillon and Genevieve Motard, Professors of Law at Laval University, have filed a motion to institute proceedings of declaratory judgement in the Quebec Superior Court against the succession law that Parliament hastily rushed through in March 2013. The office of the Queen is the constitutional foundation for Canada’s executive and legislative authority in both provincial and federal jurisdictions. The Act is therefore also incompatible with the organizing principles of the Constitution that are the rule of law, the principle of federalism and the principle of the honor of the Crown. Taillon and Motard noted, “if the Act does not amend the Constitution of Canada, it is subject to it.” They therefore also argued that the current act and the current principles of and statutes on succession to the Crown contravenes the Charter. I also highlighted this problem in the Government’s reasoning in my entries from January and February. I am curious how the Government will respond, if the case reaches that stage, and I hope that the Government at least anticipated the possibility that someone would initiate legal action against the Succession to the Throne Act. You can look at the full document here. In earlier entries (listed below), I outlined why the Crown of Canada is a corporation sole, or legal person, separate from the corporation sole of the Crown of the United Kingdom, and why the nature of the Crown means that succession falls under “office of Queen” under s.41(a) of the Constitution Act, 1982. After having listened to the Government of Canada’s official interpretation on this issue before the Senate Committee on Legal and Constitutional Affairs, I can now articulate another separate objection to the Government’s approach to this one simple premise. Garry Toffoli of the Canadian Royal Heritage Trust raised this argument in January 2013, and it turned out to respond more directly to the government’s claims. The Government of Canada has claimed that succession does not form part of the laws of Canada, but only of the United Kingdom. Curiously, the Government also claimed that the preamble of the Constitution Act, 1867 implies a so-called “principle of symmetry” that the Queen of the United Kingdom is automatically the Queen of Canada. The purpose of this bill, this Canadian legislation, is not to alter the law of succession but simply to assent to the principles in the U.K. bill. The position in Canada is that there is no need to proceed to an exercise that would have the Canadian Parliament enacting provisions such as that the Royal Marriages Act of 1772, insofar as it applies to Canada, is hereby repealed. We do not think that that is the direction that this legislation should go. It was certainly not the case in 1937 that it was thought necessary, for example, to amend the Act of Settlement of 1700 in Canada. Those are British laws, and we have left it to the British Parliament to amend the legislation. The constitutional rule here is a fundamental one. The sovereign of the United Kingdom is the sovereign of Canada, and the sovereign of the United Kingdom is determined by the law of the United Kingdom. However, the Government of Canada is wrong to argue that succession does not form part of Canadian law. In fact, Canada incorporated succession into its law by invoking section 4 of the Statute of Westminster in December 1936. No Act of Parliament of the United Kingdom passed after the commencement of this act shall extend, or be deemed to extend, to a Dominion as part of the law of that Dominion, unless it is expressly declared in the Act that the Dominion has requested, and consented to, the enactment thereof. That, in order to insure that the requirements of the fourth section of the Statute [of Westminster] are satisfied, it is necessary to provide for the request and consent of Canada to the enactment of the proposed legislation; and, in order to insure compliance with the constitutional convention expressed in the second recital of the preamble, hereinbefore set forth, it is necessary to make provision for securing the assent of the Parliament of Canada thereto. And whereas, following upon the communication to His Dominions of His Majesty’s said declaration and desire, the Dominion of Canada pursuant to the provisions of section four of the Statute of Westminster, 1931, has requested and consented to the enactment of this Act, and the Commonwealth of Australia, the Dominion of New Zealand, and the Union of South Africa have assented thereto. As of 1936, only Canada had ratified the procedure under section 4; Australia and New Zealand had not. So the British Parliament legislated for Canada at the higher threshold of “request and consent,” while it legislated for Australia and New Zealand automatically and only with their parliaments’ assent. On 31 March 1937, the Parliament of Canada then retroactively assented to that act and the incorporation of all those principles of succession in to the laws of Canada through the Succession to the Throne Act, 1937, which should be regarded as a non-enumerated statute under s.52(2) of the Constitution Act, 1982. The positive law under section 4 of the Statute of Westminster required the “request and consent” of the Dominion, while the preamble of the Statute of Westminster suggested that the parliaments of the Dominions also give their “assent” by convention. The His Majesty’s Declaration of Abdication Act promulgated the changes “as part of the law of [Canada]” under section 4 in December 1936, while the Parliament of Canada only passed the Succession to the Throne Act, 1937 retroactively in March 1937 as a symbolic gesture of the “assent” mentioned in the preamble of the Statute of Westminster. The Succession to the Throne Act, 1937 assented to incorporating the British laws on succession into Canadian law, and the Constitution Act, 1982 – whether intentionally or unintentionally –entrenched the laws on succession to the Crown of Canada as part of the Constitution of Canada under s.52(2) and made them subject to the amendment formula of s.41(a). Even M. Olliver’s British North America Acts and Selected Statutes (from 1964) lists the Succession to the Throne Act, 1937 under the section “Acts of Canada Relating to Federal Constitutional Matters.” Most of the acts that Olliver listed made their way to the schedule of the Constitution Acts; in my view, all of them should have. I believe that this is the crux of the question as to whether the principles and statutes on succession fall under the ambit of the Constitution of Canada. Also, Australia’s Constitution Act maintained the provision that used to appear as section 3 of our Constitution Act, 1867, which defined “Her Majesty” as “Queen of the time being of the United Kingdom and her heirs and successors,” and the legislatures of the six states and the Commonwealth Parliament will pass legislation under s.51(38) of its Constitution Act, 1901 in order to promulgate the reforms to the succession to the Crown of Australia. In other words, the “implied” principle of symmetry of succession under Canada’s Constitution Act is stated explicitly in Australia’s Constitution Act – yet no government in Australia has taken the position that the British laws on succession automatically apply to Australia. Why? Because constitutional evolution and practice surpassed the ossified written constitutions of both Canada and Australia. 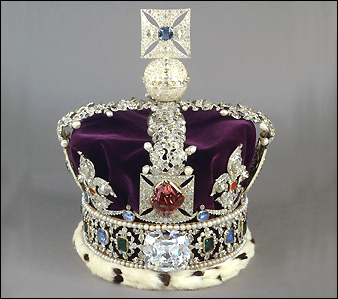 In the 19th and early 20th centuries, the “one and indivisible” Imperial Crown bound the Dominions and Crown colonies to the United Kingdom. But in the early 20th century, the formerly “one and indivisible” Imperial Crown multiplied and branched out. Australian constitutional lawyer and scholar Anne Twomey, whom I consider the foremost expert on succession law in all of the Commonwealth Realms, has shown that the “one and indivisible” Imperial Crown branched out when the Sovereign started to act on the advice of the seperate sets of responsible ministers for Canada, Australia, New Zealand, etc., rather than acting with respect to the Dominions on the advice of the British Cabinet. The Statute of Westminster, 1931 officialized the constitutional evolution of the early 20th century: the Dominions possessed both their own Parliaments and their own Crowns so that only the natural person of the Sovereign bound them together. The wording and meaning of section 4 could not be more clear: Canada incorporated the British laws on succession because His Majesty’s Declaration of Abdication Act “extended to Canada as part of the laws of Canada.” How can the Government of Canada then claim that succession does not pertain to the laws of Canada and that it exists only under British law? And how can succession not form part of Canada’s law and constitution and yet be “implied” in the preamble of the Constitution Act, 1867 — which is part of Canada’s constitution? The Government’s argument makes no sense whatsoever, and Taillon and Motard’s application may expose the Government’s superficial reasoning yet further. The Report of the Conference on the Operation of Dominion Legislation and Merchant Shipping Legislation, 1929 is quite clear that the Crown is singular, and that the powers conferred in the Statute of Westminster would allow any Dominion Parliament to unilaterally change the rules of succession for everyone, which means that the UK Parliament retained such powers as well without having to resort to S. 4 of the Statute of Westminster. The convention stated in the preamble to the Statute of Westminster was specifically introduced to ensure that a consensus is reached regarding any changes made to the succession laws. W. P. M. Kennedy, writing in The Univeristy of Toronto Law Journal in 1937 (Canada and the Abdication Act, pp. 117-119), stated that the use of S. 4 was not necessary in order for the abdication to have effect in Canada. This would mean that the repeal of S. 4 should have no effect on the ability of the Parliament of the UK to legislate on matters of succession today. Good news! Whatever the outcome of the legal proceedings, we should obtain some interesting constitutional information. Thanks for keeping us posted on this, James. One wonders if the Laval professors read your article and went from there? We may never know.